Her plans were disrupted on one recent occasion after discovering Bono and his bandmates had booked the place for themselves. 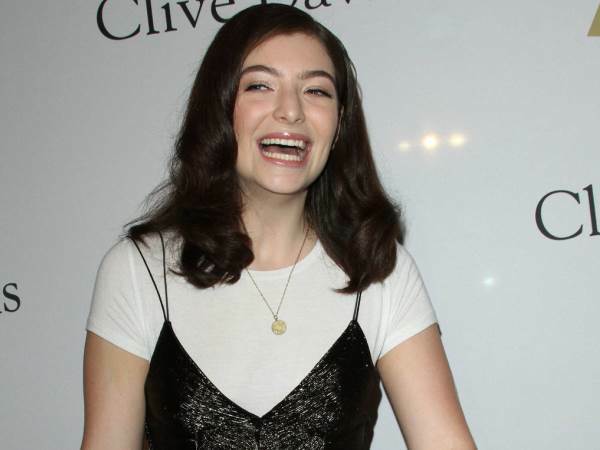 Lorde had to find a new New York studio to work in earlier this year after rockers U2 inadvertently kicked her out of the venue she had been using. The New Zealand pop star used the Big Apple as her base while recording songs for her new album Melodrama, and she became a frequent visitor at a studio in Manhattan's Greenwich Village. The incident occurred on the same day Lorde was due to sit with The New York Times Magazine journalist Jonah Weiner for an interview, and the change of studio location made her late to the meeting. Jonah recounted the "funny story" in his new article to illustrate how much the 20-year-old's life has changed since the success of her debut album, Pure Heroine, in 2013. "She'd been commuting daily to a Greenwich Village recording studio, plugging away at new music," he wrote, "but today U2, who had reserved the space, arrived and commandeered it. Lorde found a smaller studio available farther uptown, and though the move was inconvenient, she saw the humour in being inadvertently evicted by Bono - it was just one more marker of how strange her life has been since she became famous, four years ago, at 16." Read more: Lorde tops Billboard’s list of hottest young stars! Ironically, Lorde found herself staying in the same hotel as U2: "I actually saw (guitarist) The Edge in the gym here," she smiled. "I thought about saying something (about the studio clash), but I decided, 'Nah.'" During her months-long stay in New York, the singer reveals she was mostly able to go out in public unrecognised, even while taking the city's subway train system, which she used to test the sound of her new tunes. "Nobody recognises me," she said, explaining she typically smiles at fans who do spot her, before quietly urging them to keep her presence a secret by holding a finger up to her lips and mouthing, "Shh", a method which "usually" works. And she frequently returned to her favourite diner near Central Park to sit and reflect on her work uninterrupted. She shared of the Flame eatery, "Mostly old people eat here. There's no one famous. No one cares about me."